Ustav fyziky plazmatu AV CR, v.v.i. Science and research go hand in hand. They occupy the largest part of any activity, because we always want to move forward. New technologies are being developed and new products manufactured, so this process is very important. 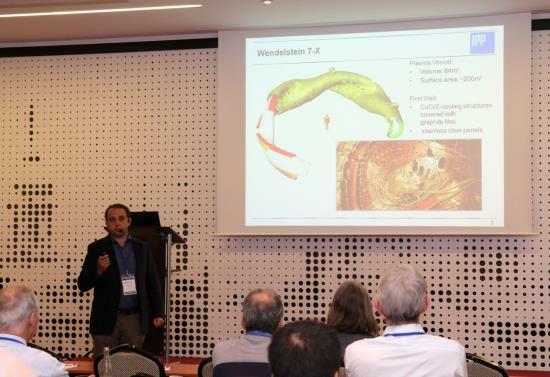 This conference brought together approximately 150 participants from the area of laser plasma accelerators. Some of them took advantage of this opportunity to present the latest developments in the area of laser and particle beams, new concepts of accelerators, diagnostics, high field science or additional sources of high energy particles. In addition, an international symposium, already the 18th, was held in Prague. The topic of this event was laser-aided plasma diagnostics. The symposium was a follow-up of a two-year series. This series brought together chemists and physicists from various branches of laser plasma diagnostics, including physics of nuclear fusion, laser physics and low-temperature plasma chemistry and physics. Additional successes include the 3rd International Workshop on Frontiers of X&XUV Optics and their Applications. The Workshop was organized by the Institute of Scientific Instruments of the Czech Academy of Sciences in co-operation with the Institute of Plasma Physics, CAS. The Institute of Plasma Physics of ASCR focuses on a series of studies aimed at examining plasma and its use in practice. One of the projects is the research of pulse plasma systems, within which plasma is studied, created using pulsed, high-voltage discharges. Another important project is research within material engineering. It primarily involves the interaction of plasma with solid and liquid phases. The Institute of Plasma Physics of the Czech Academy of Sciences, headquartered in Prague, focuses on experimental and theoretical research and applications of plasma produced by high power laser beams. The experimental research is carried out on one of the largest lasers in Europe. The department also cooperates with other inland workplaces that are engaged in plasma research.